There are common hot topics in a lot of education blogs and articles these days: achievement gaps, standardized testing, teacher retention, personalized learning, project-based learning, among others. And for the most part, the theme connecting all of these ideas together is the yearning for innovation, flexibility, and change. Co-founders of The Lean Lab Katie Boody and Carrie Markel, both Teach for America alum, were placed in Kansas City, MO urban core schools during their two-year commitments. Frustrated and disheartened by their experiences within the classroom, they decided to build a community of creative problem-solvers from diverse backgrounds to try something different. That’s where The Lean Lab and its core program, The Incubator Fellowship, come in. Hosted at the Sprint Accelerator in the Crossroads District of Kansas City, The Incubator Fellowship’s Cohort 3 has 4.5 weeks to learn about the lean startup model that Boody and Markel pulled from Steve Blank and utilize it to help build up their businesses that will reimagine education for urban youth. Some of you may be familiar with Steve Blank’s article, Why The Lean Start-Up Changes Everything. For those of you who aren’t, Blank basically took the traditional business model and slimmed it down, emphasizing customer validation and experimentation over multi-year static business plans with upfront investment. 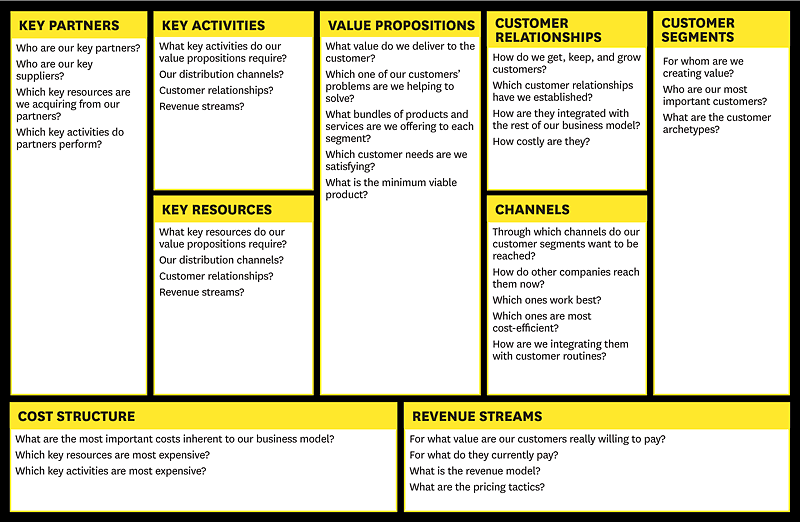 Rather than start with a business model, Cohort 3 follows the lean startup model with a series of experiments, showing their minimum viable products or mockups to their customers, and seeking validation. Already teams are learning how to be adaptable. Brice Jensen, Bob King, Doug Tree, and Nadja Cajic met for the first time at Startup Weekend EDU in Kansas City, an event that The Lean Lab co-hosted with Think Big and 4.0 Schools. They wanted to gamify the lunch lines at schools so that when children selected their lunches, they could see exactly how that food would affect them physically and mentally via an avatar, called Meedu. 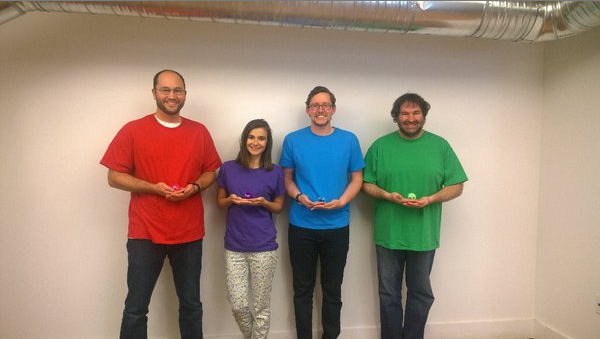 This team focused on validating the need for their product during Week 1. They met with school leaders across Kansas City and quickly learned that the school lunch line process was more complicated than they originally thought. Consequently, the Meedu team realized that they had to pivot. Imagine if they had poured all of their resources into building their platform first, and had learned their mistake after going to market? 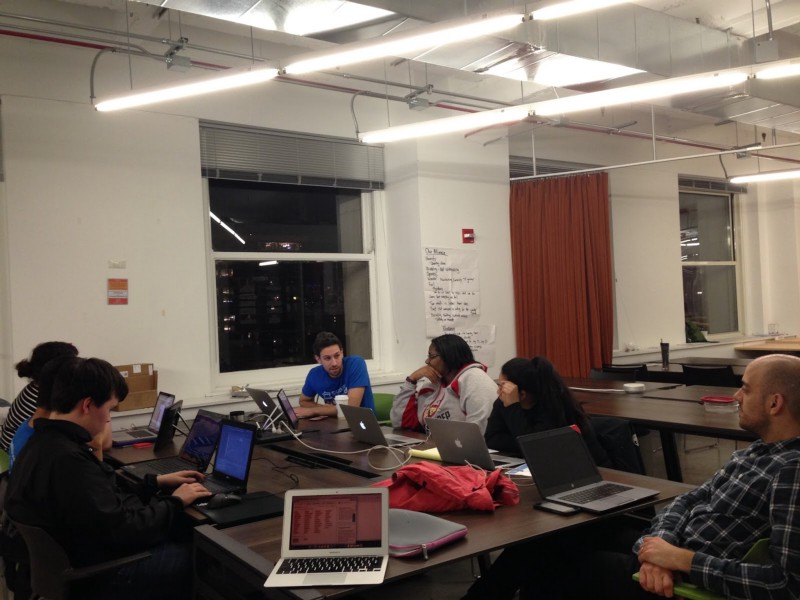 Angie Rivera, Jamie Cordes, and Zach Layng also met for the first time at Chicago’s Startup Weekend EDU, where they collided with three high school students and helped bring InReach to life. InReach is an app and web-based platform to connect prospective college students still in high school with current college students. This authentic experience will give high school students a better understanding of the college they’re interested in: what courses of study it offers, what life is like there, and if it’s a good fit for their goals. 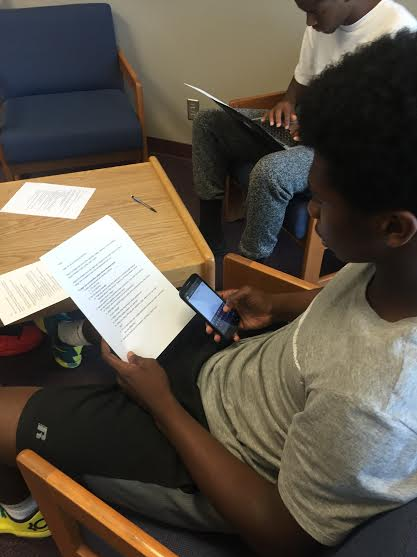 The team held their first Kansas City pilot on Friday afternoon at Shawnee Mission West High School. Further, the team noticed that they need to tighten up the match-making part of their app. “We need to make the matching process more specific and targeted, [which is] a challenge with a small group of beta testers,” said Cordes. Lida Zlatic and Thierry Uwilingiyimana are the co-founders of ClassTracks, a web-based platform designed to give foreign language teachers more time in the classroom to focus on immersion curriculum. After connecting with teachers throughout the Kansas City community, this team has also needed to make some adjustments. For the first time, Zlatic and Uwilingiyimana have begun working with a group of English as a Second Language (ESL) teachers. “We’ve received sporadic requests from time to time, but this is the first time we’re working with a group of ESL teachers,” said Zlatic. This new, potential target market hasn’t caused any extreme pivots in ClassTrack’s product, though, as Zlatic and Uwilingiyimana both pointed out. Their pivot actually involves strategic marketing and messaging in order to connect with those ESL teachers to incorporate ClassTrack into those classroom environments. For the ClassTracks team, the most beneficial parts of Week 1 have been the relationships they have cultivated here in Kansas City and the tangible, concrete feedback they’ve received from the mentors and Lean Lab staff. Most notably: the Lunch and Learn session with Nick De Buyl, the Vice President of Sales at Pear Deck; one-on-one conversations with Rachel Ignotofsky, published author, freelance illustrator, and content mentor; and coaching sessions with Katie Boody and Aditya Voleti, CEO and COO of The Lean Lab. After completing several iterations and confirming and reconfirming with customers the validity of each team’s product, Cohort 3 will begin forming business models during Week 2. 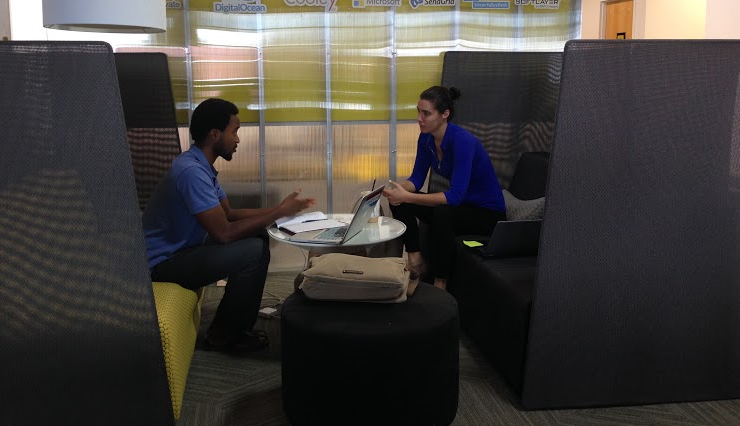 Join us at the Sprint Accelerator Friday, July 1 and Friday, July 8 from 4–5pm to view Cohort 3’s progress so far. Feedback from the community is vital to improving each team’s product, and in turn, improving public education for Kansas City’s urban youth. 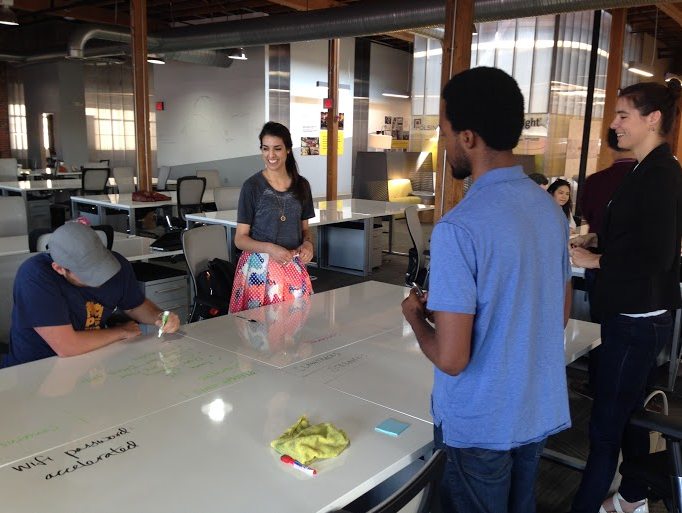 A nonprofit incubator in Kansas City, MO building, testing, and launching innovative solutions for public education. 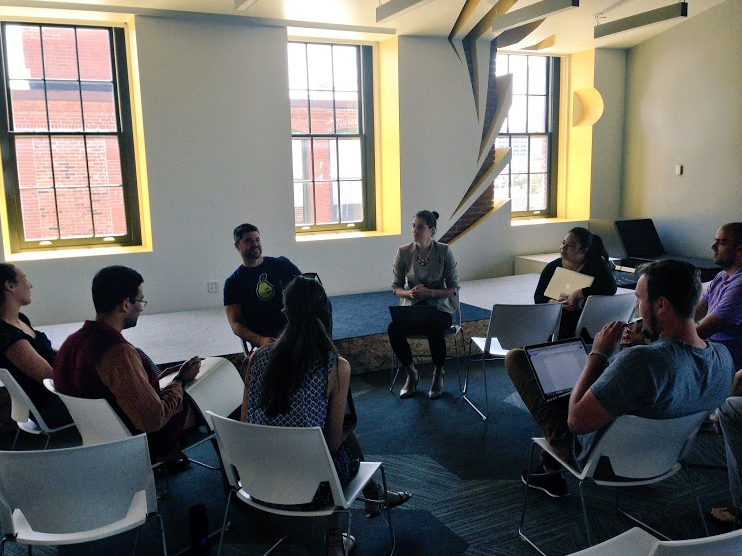 Blog posts from The Lean Lab — a Kansas City-based nonprofit incubator and community launching education innovations that have national impact.